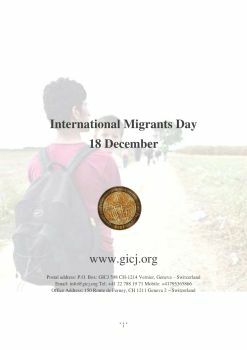 Migration has always been there, it is a fact. From time immemorial, people have moved in search of new opportunities and better lives. Climate change, demographics, instability, growing inequalities and aspirations for a better life, as well as unmet needs in labour markets, mean it is here to stay. Migration is a phenomenon that has neither positive nor negative connotation. It is a phenomenon that must be understood and managed rather than prohibited and criminalised.